In this time of multimillion-dollar vineyard estates and celebrity winemaking consultants, when it seems that financial backing has replaced skill as the key to success in enology, it is rare that a simple idea can give birth to wines that stand out for flavor and balance, rather than pedigree alone. Waterstone Winery was formed in 2000 with the simple concept of creating luxury wines at affordable prices. Bringing together previously established relationships with Napa Valley growers and vintners, the winery set out to develop balanced wines of varietal character through intelligent sourcing. Preferring to focus on the wine itself rather than the accumulation of land and facilities, Waterstone owns no vineyards, nor does it own the facility where their wines are made. Dedicated winemaking, strong relationships with top growers and long-term grape contracts are the keys to Waterstone’s quality and success. Brent Shortridge has extensive hands-on experience in virtually every aspect of the wine industry, from the cellar to the boardroom. With a biochemistry background and medical school in his sights, Shortridge had no intention of entering the wine business until a summer job at Sonoma’s Buena Vista Winery changed his life. After working with legendary winemaker Andre Tchelistcheff, Shortridge knew that wine was his calling and stayed at Buena Vista, first as a chemist, then in exports and finance, eventually becoming the winery’s vice president of marketing. 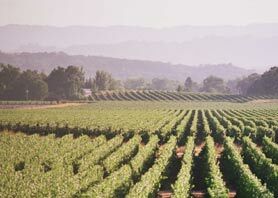 After leaving Buena Vista, Shortridge immersed himself in the wine country community as marketing director for the Napa Valley Vintners Association. He has since worked with a number of industry associations, including Zinfandel Advocates and Producers (ZAP), and he currently chairs the international program at the Wine Institute.